The Ultimate Toolkit for Local marketing and Online Sales. If you're not on the map, you're not in the market. Sign up for Customer Connect and increase sales in your retail location. Discover the benefits of going Local. Imagine competing with big online gun dealers and increasing traffic in your retail store at the same time. Gun buyers start their purchase journey online when they search for their next firearm, they see lots of online gun sellers but they don’t see you. Now they will. Over 8 million times a month, buyers come to GunsAmerica - thousands of them are in your local market. Radio, billboard and newspaper ads are costly and ineffective. You can reach a lot of people but how many of them were buyers? When people come to GunsAmerica, they are here to research and make their next purchase. Now, you are included. 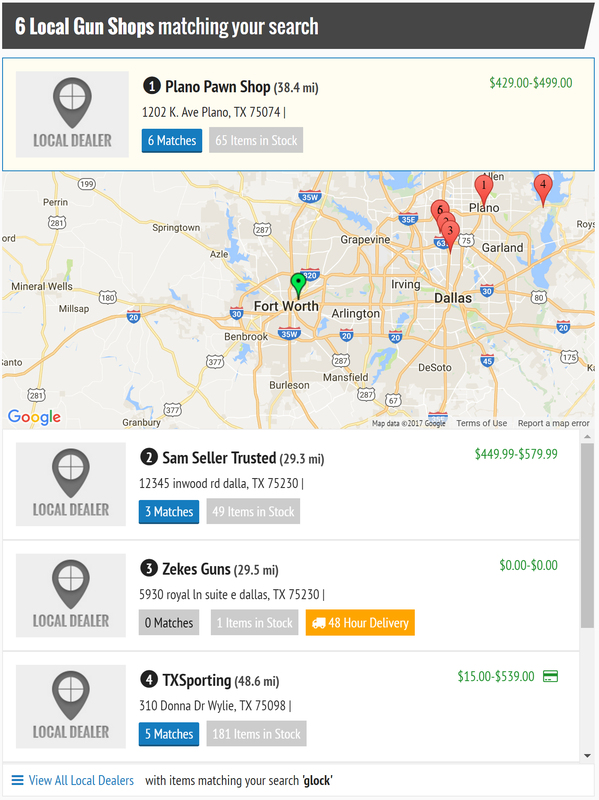 GunsAmerica Customer Connect Advertising Packages, put your store and location on the top of the page when local buyers come to GunsAmerica. Show them your store, your inventory and location and say Hello to more buyers walking through your doors. Advertise your store on partner manufacturer websites absolutely free. If you are an eligible stocking dealer you can receive an access code to appear on certain manufacturer websites. Buyers who visit partner manufacturer websites see your ad featuring your in-stock and available distributor inventory. As long as you have inventory available for sale your store shows on the map! Now shoppers can buy directly from you from a manufacturer website. New partners are added and updated regularly. *Your advertisement will not show up on GunsAmerica’s website. It only shows on sites for which you have a code. Upgrade your account to Local Connect to have access to partner sites without the need for a code. 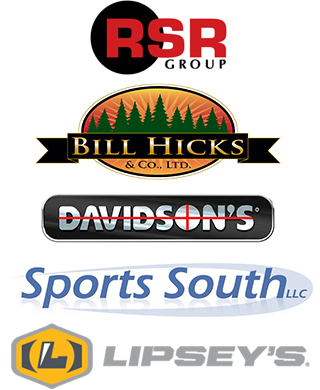 Create a custom ad tailored to your gun store that appears to buyers within 50 miles of your store. Gain access to our partner manufacturer maps and editorial digest articles without having an access code. Get exposure on multiple websites, all managed through your dashboard! Your ad appears at the top of the search results pages if you have matching inventory and is shown on a local map. Post unlimited local ads that stay active indefinitely when you use our inventory Bulk Upload tool. Link out to your own website if you have a Live Storefront or personal domain. Use our traffic to get more buyers on your website. New optional communications system and checkout options are available through brochure mode so you don’t have to answer any more emails! Flat monthly fee with no after sale charges for local sales. National sales can still be conducted at the basic member rate. This is for dealers looking only to advertise in their local market and only sell a few guns each month nationally. You can now bundle the Trusted Seller package with Local Connect to lower your national after-sale fees! It’s all about location, location, location, and this package puts you in the Top Dealer spot. Premium Connect includes all the benefits of Local Connect and increases your exposure by placing your store at the top of everyone else. This includes being first and on top on partner sites as well! Instead of being placed below the map, your store ad is highlighted above with a star indicating your location on the map. Cut your aftersale and listing enhancement fees in half. Sell all the accessories and non-gun items you want for FREE! Any National ad posted also shows to your local buyers. This package is ideal for dealers who sell more than 9 guns/month nationally and want a local ad on GunsAmerica. Premium connect includes a free Trusted Seller membership package. Our top level all-inclusive package gives you all the benefits of Premium Connect and NO after sale fees for National sales or any sale ever! Not only are you in the Top Dealer spot, your ad remains in the top results below the local map giving your store more exposure than any other package. Your ad is served on top of partner manufacturer sites too. With Platinum Access you pay 1 flat fee each month – no after sale fees so you don’t need to keep track of what you sell on GunsAmerica. Watch more buyers choose your store as you rack up more completed sales and build trust with buyers. 50% off all national listing enhancements. 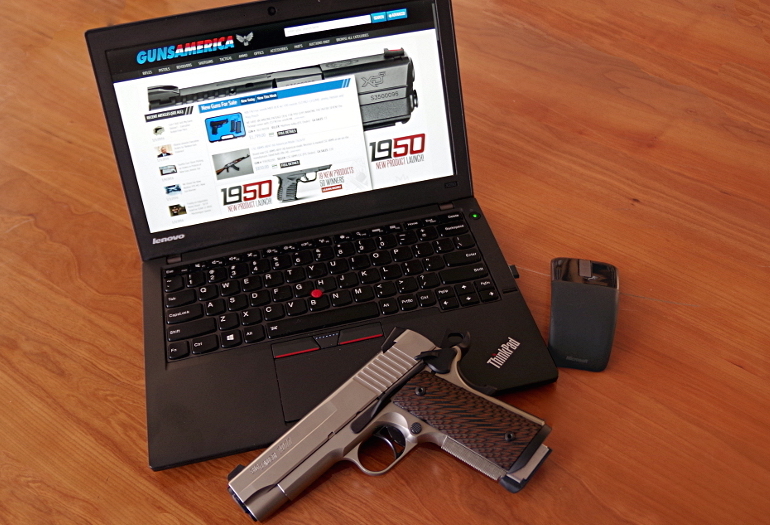 With the purchase of Platinum Access you also get a Free GunsAmerica Live Storefront website. 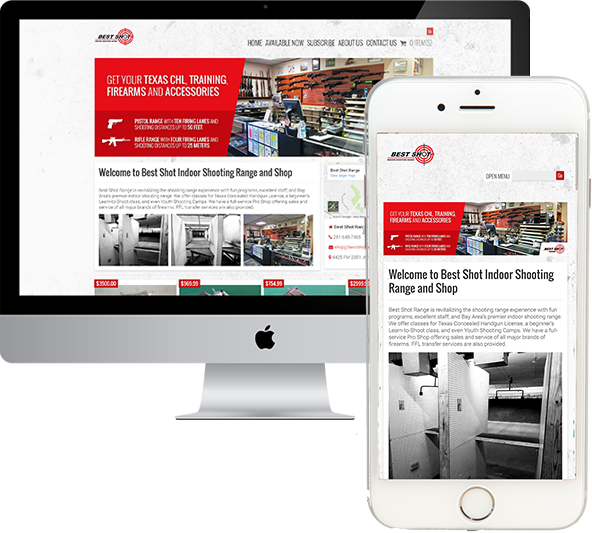 This is a full e-commerce solution for gun stores who want an online website with easy setup, and maintenance. Our websites don’t contain any 3rd party advertising- it is truly your own. Platinum Access users also receive 4 free email blasts per year promoting any seasonal sales or events you want to promote. Platinum Access is for true power sellers who sell more than 30 guns outside of their market per month and don’t want to worry about after sale fees. Sell any item to buyers within 50 miles of your zip code absolutely FREE. Have items that aren’t selling locally? Post a national listing and reach over 4 million buyers that use GunsAmerica each month. Manage your inventory using Bulk Upload and 48 hr distributor feeds! Complete flexibility with selling your inventory. The more inventory you have online, the more buyers will find you. Your store ad appears when your inventory matches what the buyer is looking for so, by having more inventory, more buyers discover your store. The more you have in stock the more likely buyers are to come to your store first. There are 3 ways to post inventory. We make it easy with 48 Hour Guns, Bulk Upload and Individual Ads. It is proven that the more you list the more buyers walk in your store and the more you sell in person and online. 48 Hour Guns uses distributor feeds to automatically post inventory so you don’t have to. In addition to your own listings, supplement your inventory with distributor inventory so you never miss a sale. Bulk Upload allows you to export from your inventory management system or POS and upload to your GunsAmerica account. Changes in inventory are managed automatically with each upload. Individual Ads makes it easy to post items one at a time so you can start advertising items as you receive them. Online or In Person – you can do both. 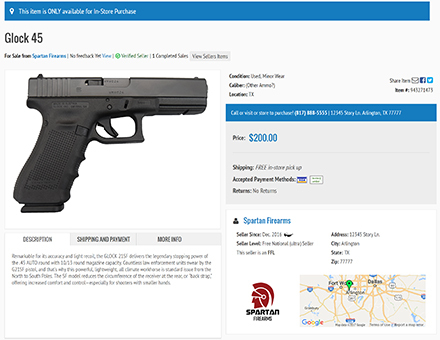 National ads expose your inventory to all GunsAmerica users allowing you to turn your inventory faster and, at the same time, you build traffic in your retail location. Local ads allow you to expose your inventory just to local buyers and have them come to your store for purchase or even allow them to pay online and pick up in store. Sellers living in states with firearm restrictions can advertise nationally and find buyers throughout the country. Now you can move state restricted inventory and slow moving items that are not selling in your market. Turn on Brochure mode, if you are a local seller, and turn your listings into an online catalog. Buyers are able to see your store, inventory, and pricing but the only option to buy is to come in the store and purchase. Brochure mode disables checkout and communications. No more worrying about having to answer silly questions. Make the buyers to come to you! Allow buyers access to your distributor inventory by enabling our 48 Hr. gun system. Set your prices and see the orders start coming in. Distributor inventory available to your buyers. 48 hr guns allows you to show distributor inventory as your own. Buyers can place orders for distributor inventory when you don’t have it in stock. If a distributor has it in-stock, so do you! When a buyer places an order through the 48 hr gun system, you will receive an email with quantity and pricing information from each distributor. It’s then up to you to place the order from the distributor of your choice. If you have one in stock, feel free to sell it to your buyer! Link out directly from your GunsAmerica ads to your Live Storefront! Our Live Storefront provides a full e-commerce solution for those who want to sell on their own website and shopping cart. Use our traffic to increase your sales. Cost effective e-commerce solution for Gunshops. Having your own website is like gold for a local gun shop. Because for every customer of yours who will stop into the shop every week or so, there are 100 customers who will check your website regularly, sign up for your email list, and use your website to complete secure credit card transactions for guns they order in. With our new Local program, you can even link out directly to your Live StoreFront driving GunsAmerica visitors directly to your personal site. You may have been quoted $600, $1,500, even $5,000 to create your own website (or sadly, you may have already paid that). These fee structures are not entirely unjustified. With custom art, hand holding, and for being the go-between for you and the technology to make a website, many web development companies deserve the fees they get. But as a local gun shop, do you need completely custom artwork? Do you care if another dealer in another state who neither you nor your customers never see has a similar website design as you? Probably not. GunsAmerica Live Storefronts fills both roles, that of the web developer, and that of the template designer. The same automation team that builds and maintains GunsAmerica has built a website automation system second to none. Try it and you will see how quickly and easily you can have your own website, and a really nice, useful website at that. "No Transaction Fees" is another very important feature of Live StoreFronts. We believe that customers who purchase directly from your website are YOUR customers, not ours. Therefore, we don’t charge you any selling fees for doing business on your website. Value is what drives everything we do at GunsAmerica, and Live StoreFronts will be an incredibly good value for your business. We could have thousands of buyers in your area waiting to see your store specials. Use our subscriber list to send emails directly to our buyers in your area. Tactical email nukes to your local buyers. 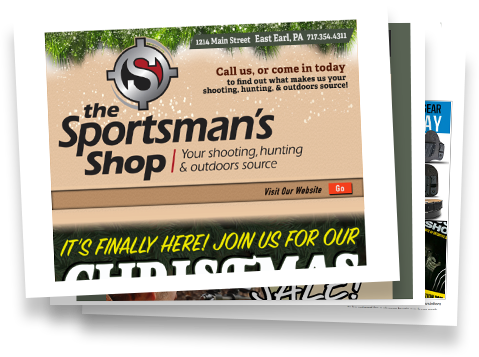 GunsAmerica offers local email marketing campaigns to help promote your store in your area. We allow you to tap into our user base and send them your store specials or current sales you are having. Dealers use this option frequently in the summer months when things slow down and during holidays to increase store traffic. Getting new buyers in your area has never been easier. Got Questions? Contact Dealer Services.